This tutorial is a little fiddly due to the delicate nature of the jewellery, but so worth it. Remove the earring from the packaging. Pull the pearl off the earring. 2. Since the earring is 3cm, we need to shorten it so that it hugs your inner earlobe. 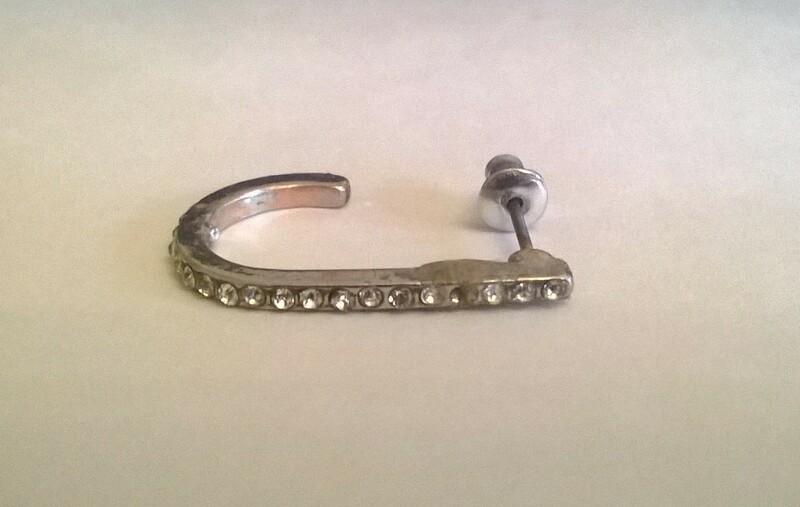 Hold the earring up to your ear and roughly measure how much to remove (I removed a length of about 3/4 diamonds. 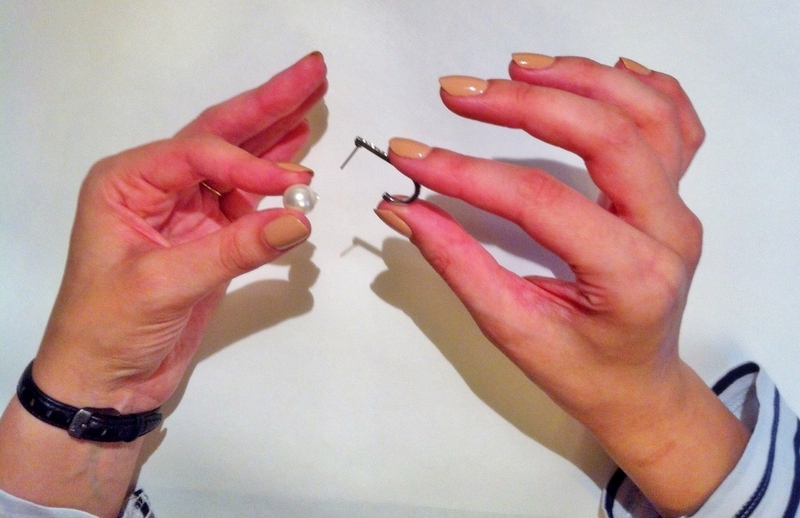 Be careful not to cut too much off or when you glue the earring post back on it will be too tight/awkward to wear). 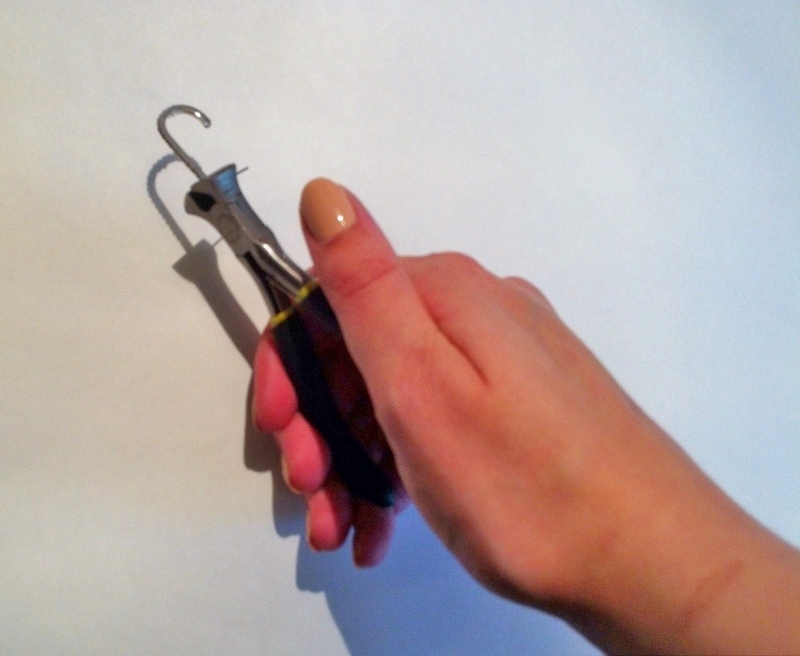 Using the wire cutters, cut the earring post. NB. Wear eye protection for this part -sunglasses will suffice. When I completed this step, the newly separated parts flew to opposite sides of the room! 3. 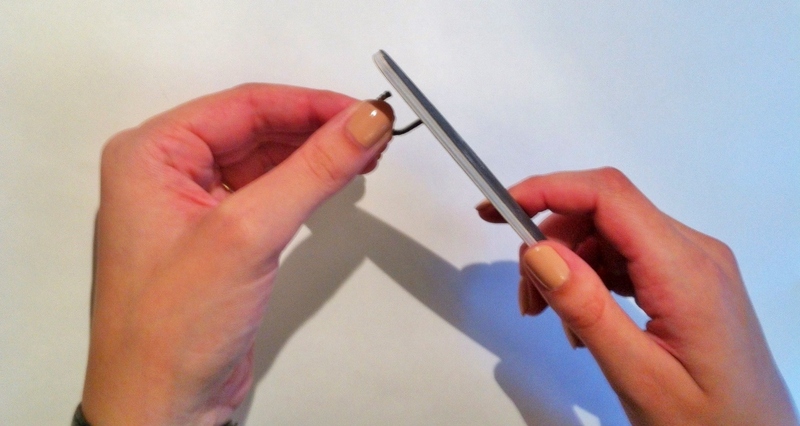 Using a nail file, file the two parts so that the metal is flat. This will ensure there is maximal surface contact when you come to glue the two parts back together. 4. Using a small amount of super glue, attach the two parts back together. 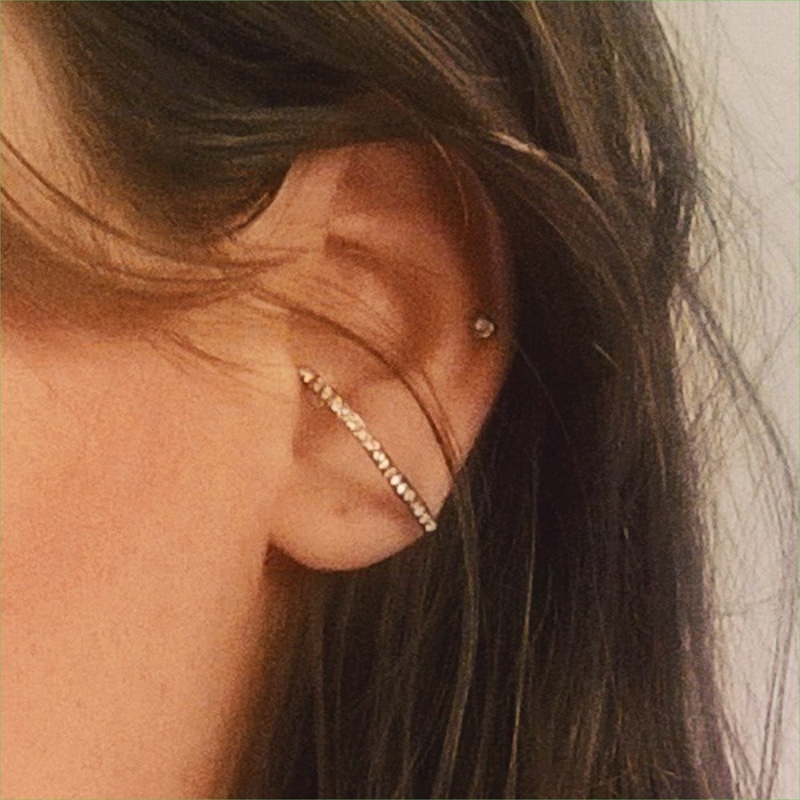 Make sure the earring post is facing the right way (away from the diamonds), or you will end up with an earring that does not hug your earlobe, but instead points outwards. 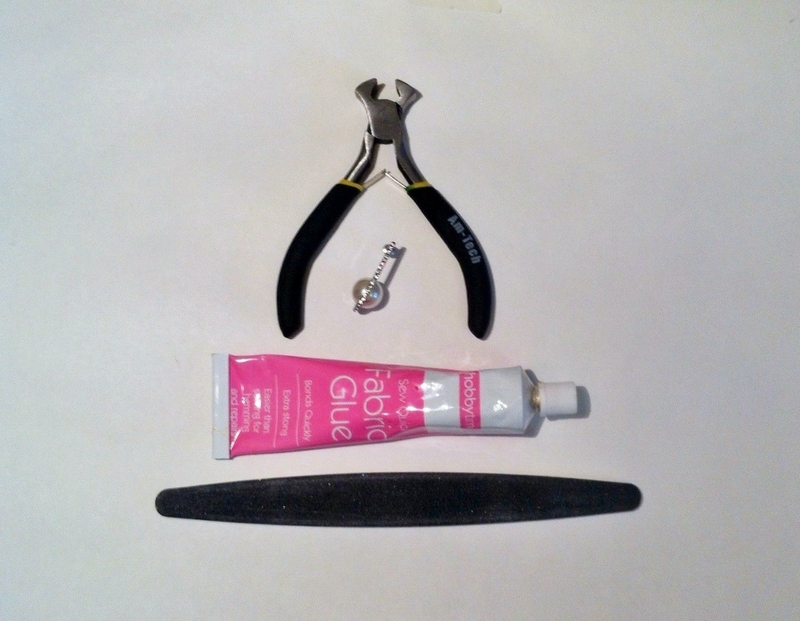 Once the glue has dried, dab a little more glue on each side of the join to reinforce the hold. Leave to dry, preferably overnight. 5. Your finished earring should look like this. You can see in the picture below there is a little bump where the reinforced glue is – don’t worry about any slight imperfections, as these won’t be visible or noticeable once you’re wearing them. The original Smith+Mara suspenders are sold as singles. I like this style, since I prefer to have mismatched jewellery in my nine piercings. 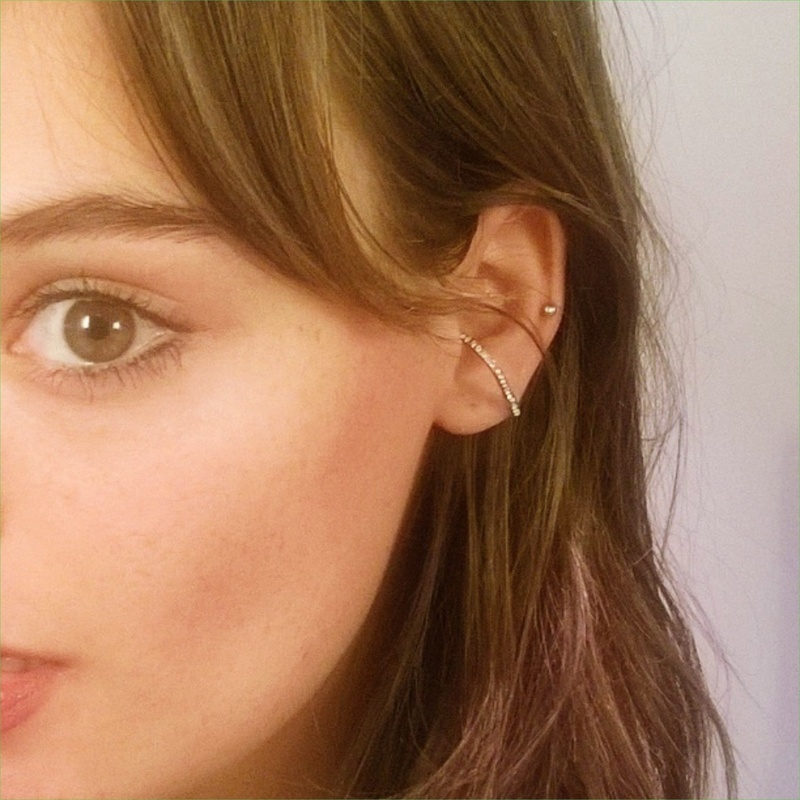 However, if you’re more of a symmetrical kinda gal, repeat the above steps for the other earring.